Chiropractic for piriformis pain is a form of complementary healthcare that is popular with patients, since chiropractors are also the most frequent diagnosticians for piriformis syndrome. Chiropractic is the third largest branch of the healthcare sector and continues to propagate worldwide to provide care for countless patients with a full range of problematic issues, including piriformis pain. Chiropractic may demonstrate some great benefits for piriformis pain patients, especially when compared to some of the more traditional medical therapies. However, chiropractic is far from perfect and many patients are not aware of the downsides of chiropractic care in regards to a piriformis-related diagnosis. This important discussion focuses on using chiropractic treatment for piriformis syndrome and other piriformis-related diagnoses. We will detail the pros and cons of chiropractic care and provide guidance for patients who are interested in learning more about chiropractors and their treatment practices. As mentioned above, chiropractors make the diagnosis of piriformis syndrome more than any other type of car provider. If chiropractors did not actively seek to treat piriformis syndrome, then they would probably never make the diagnosis. Remember that the diagnosis of piriformis pain is virtually always based on subjective opinion, rather than verified fact. Even when the piriformis is confirmed as compressing the sciatic or pudendal nerves, there is rarely any evidence provided as to why the muscle is spasming and compressing the nerve. The vast majority of all piriformis diagnoses (more than 90%) are revisions of previous incorrect diagnostic theories, often made by the very same chiropractors who now believe the piriformis to be the culprit after failing to deliver satisfying results for whatever condition they previously thought was causing the pain (typically an incidental lumbar herniated disc). 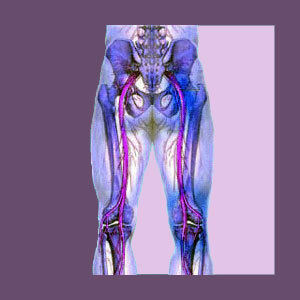 Most chiropractors believe that piriformis syndrome is the direct result of muscular imbalances or injury. Although these cases do occur, we find that these are the gross exceptions to the rule of piriformis nerve compression, with ischemia being a much more common and logical origin. Spinal adjustments are always a mainstay of chiropractic care. These manual manipulations will likely focus on the sacral spine, since the piriformis is innervated from this region. Other joint adjustments might be utilized, including sacroiliac and pelvic manipulation. Stretches and exercises will likely be prescribed to the patient to perform at home. Some chiropractors will recommend adding nutritional supplements into the diet to encourage better nerve function and muscular repair. When the diagnosis of piriformis syndrome is accurate, chiropractic might be a beneficial form of therapy. Chiropractic may or may not be effective, as treatment outcomes range greatly on a case by case basis. The time spent aligning the spine and related joints might facilitate organic healing of whatever issue is causing the piriformis muscle to go into spasm and compress the nerve. If muscular imbalance or injury is the actual source, then exercises and stretches may play an important role in healing and rehabilitation. Some patients utilize chiropractic as a form of symptomatic care, substituting it for traditional pain management. Chiropractic is all natural, nonpharmaceutical and noninvasive, making it advantageous to many medical methods of care, such as injections, surgery and oral route drug therapy. Chiropractic is les expensive than medical care, but might not enjoy the same level of coverage under some health insurance plans, creating more out of pocket expense for patients. Our main complaint with chiropractic handling of piriformis syndrome is the frequent inability to accurately identify the correct source of symptomatic activity. We have identical complaints with the way traditional medical doctors also handle piriformis syndrome. Our research shows many cases of piriformis pain to be ischemic in motivation, which can easily be proven when they respond well to mindbody interventions like knowledge therapy. If chiropractors would learn more about this potential source of pain and implement proper treatment, we would get behind them even more in our recommendations for care.